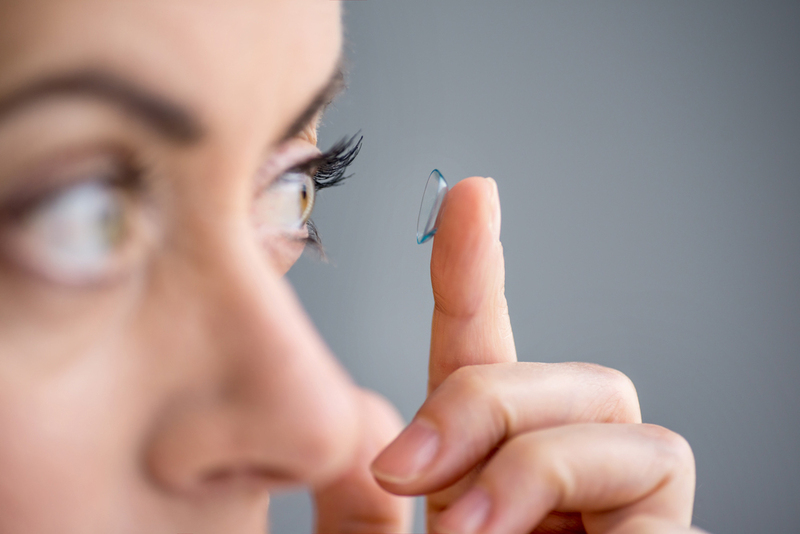 Contact lenses certainly aren't unusual—at Maple Ridge Eye Care, hundreds of our patients wear them daily. But what many people don't realize is that there's really no one-size-fits-all when it comes to a pair of contacts. Our optometrist team, serving Maple Ridge and Pitt Meadows, including Websters Corners, Silver Valley and surrounding communities, are happy to offer a variety of contact lenses—including scleral lenses—that can work well on people with so-called "hard-to-fit" eyes. Standard contact lenses fit directly over your corneas (the clear domes over your colorful irises), whereas scleral lenses have a large enough diameter to actually vault over your corneas and rest on the white part of your eyes (called the sclera). Scleral lenses are considered rigid gas permeable lenses; they offer specific benefits for many people. For one thing, these lenses are often more comfortable since they rest on the less-sensitive scleral and conjunctival tissues (conjunctiva is a soft clear protective tissue covering the sclera and inner eyelid). Conversely, the corneas are among the most sensitive tissues in the body and can easily become irritated by a contact lens. Instead of coming in direct contact with the lenses, your corneas are protectively housed underneath in saline solution, thus maximizing comfort. Incidentally, the reservoir of fluid between the scleral lens and cornea helps to correct for abnormalities in the corneal surface, thus helping to normalize vision. Given their larger surface area, scleral lenses are also generally more stable compared to other contact lenses which may move around more. Have you ever wondered if scleral lenses or other specialty contact lenses may be the right choice for your vision and eye care needs? Contact our optometry clinic in Maple Ridge, BC today to schedule an initial consult and eye exam with our experienced contact lens specialist, Dr. Gary Matter. We'd be happy to examine and assess your ocular health and determine which vision correction technique is right for you. Call 604-670-4434 today!